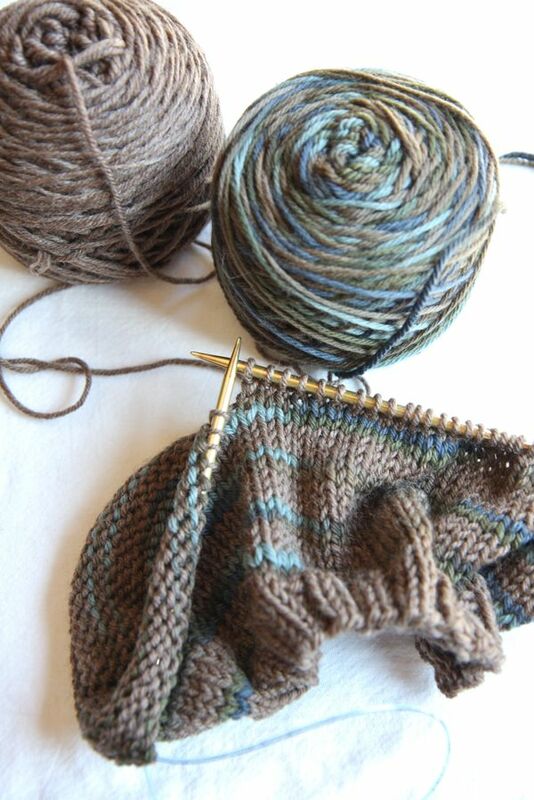 When I got this great yarn at Rae’s, I wanted to get going on some socks. This is just a plain, stockinette sock using the technique I learned at Rae’s to knit socks without a pattern, toe-up. 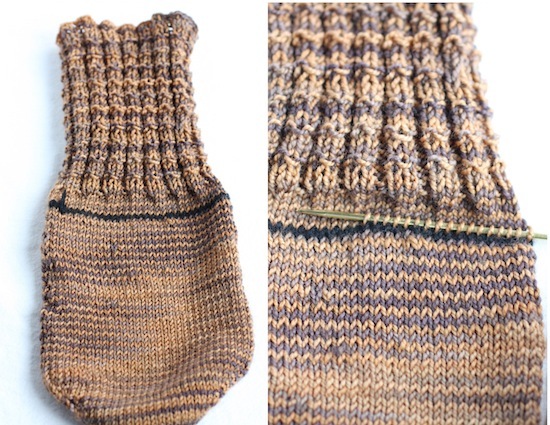 I decided to knit the leg in plain stockinette because I just wanted the self striping yarn to show without any texture. 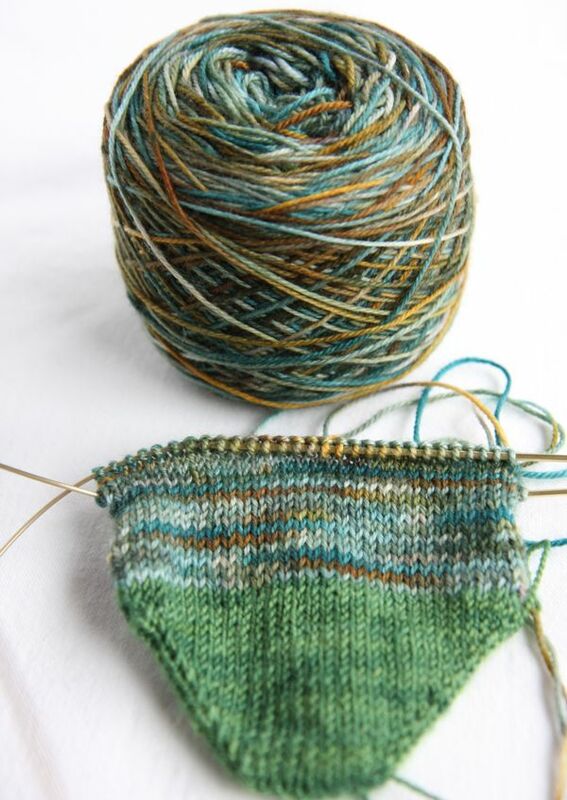 Barbara, who teaches that sock class at Rae’s, really prefers an afterthought heel, placing waste yarn as you knit, which is easily picked out later for the heel. Having done socks with both a gusset/heel flap and the afterthought technique, I’ve come to prefer the afterthought heel, too. 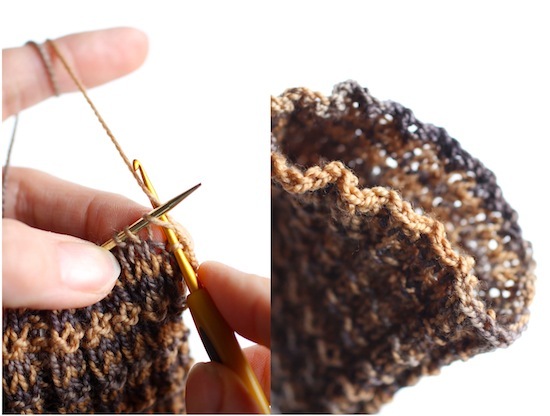 It’s by far the simplest method, requiring no pattern or keeping track of short rows and Barbara feels it’s the most comfortable to wear. 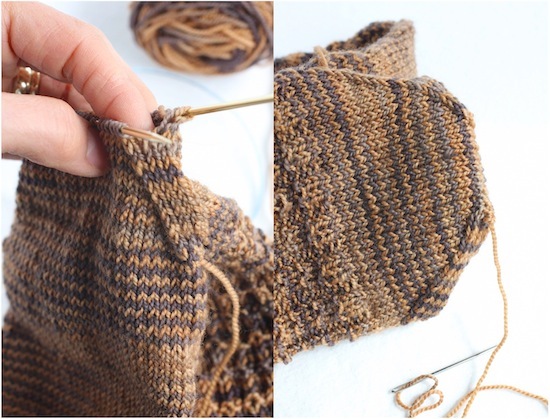 Another bonus with an afterthought heel – you basically knit a whole tube for the sock, from toe to cuff, and so it doesn’t interrupt your self striping yarn or any other pattern that you’re doing. 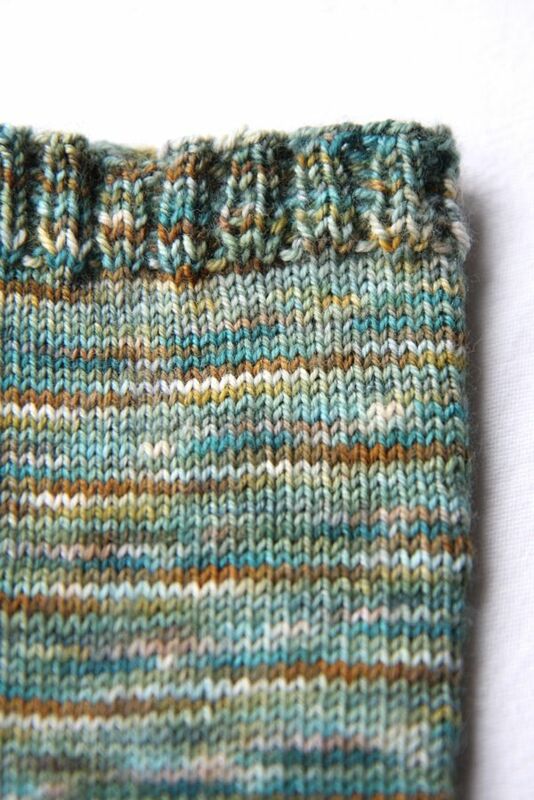 I also did a Russian bind-off for the cuff, which I really liked using this method (love this lady’s accent). 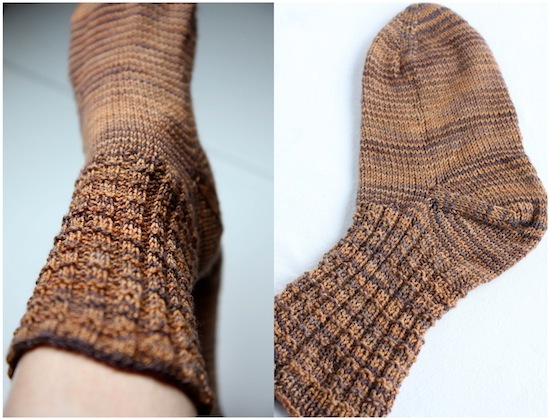 I had tried the Russian bind-off in Wendy Johnson’s book, Socks from the Toe Up, and did not like that version at all. 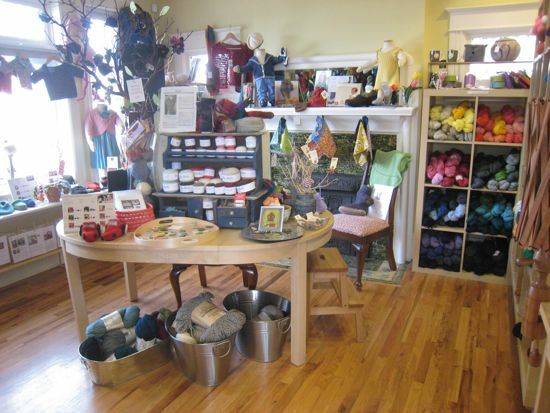 Rae had a “Sock Hop” at her store and I couldn’t resist all the sock yarn. 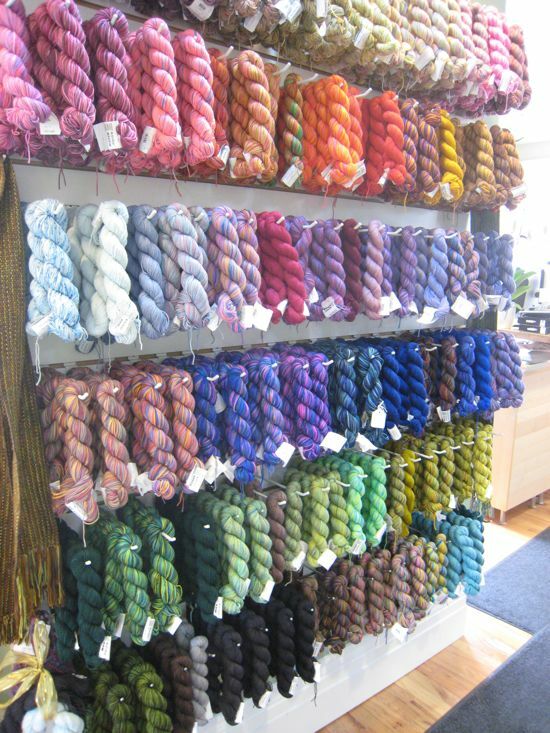 I got some lovely hand dyed yarns from Pagewood Farms and Yarn Hollow. 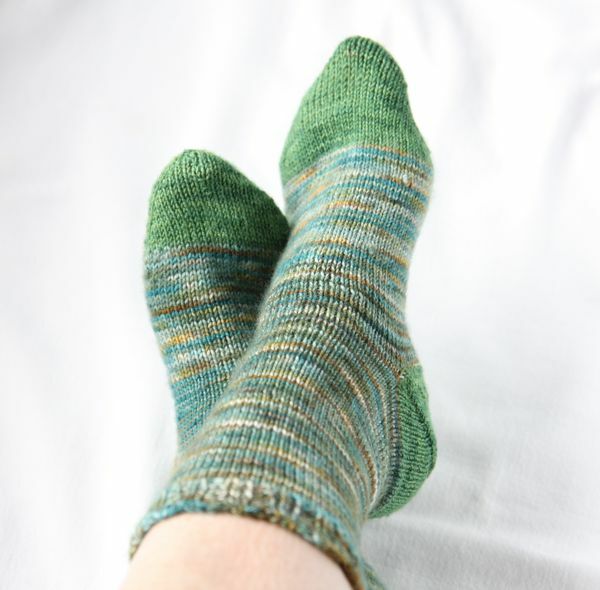 There was a green colorway I loved and so I just had to start some socks. 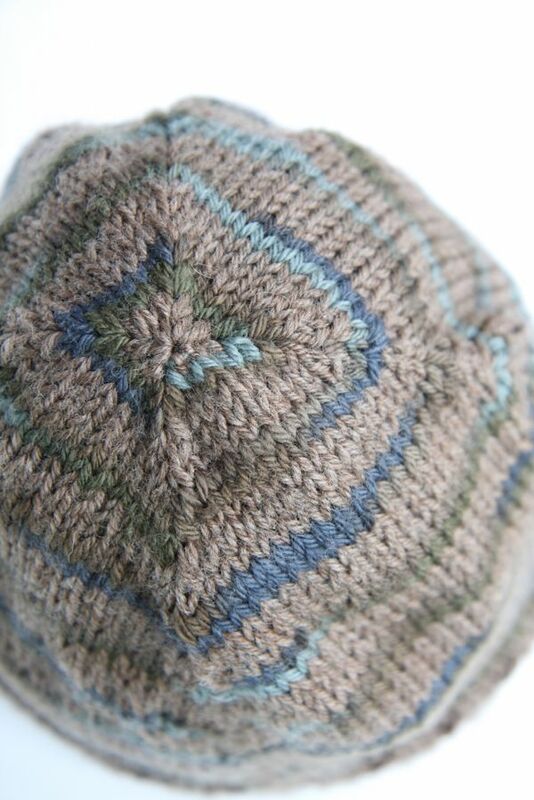 I needed some mindless knitting anyway, because I finished the men’s hat. There is no pattern, because I’m knitting them using the patternless method taught by Barbara in her Sock Class at Rae’s. 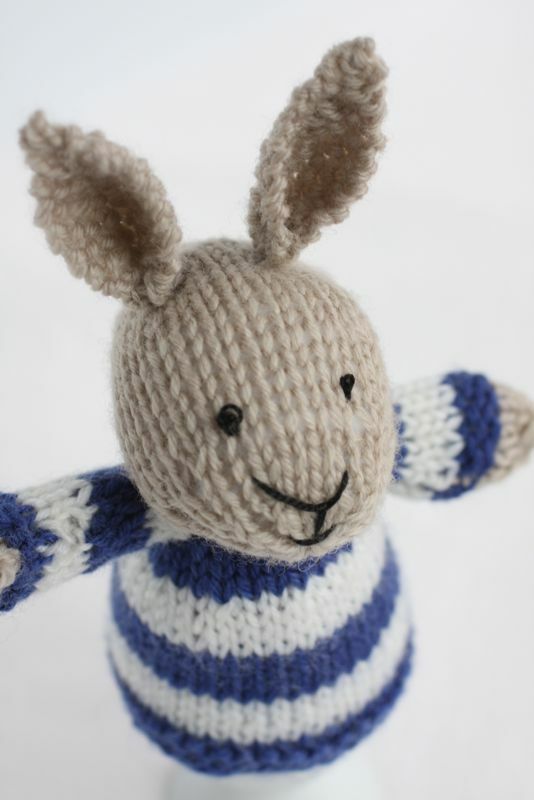 It’s really empowering, knowing you can knit something without a pattern. I used Judy’s Magic Cast-On, cast on 16 stitches, increased to 60 on size 0 needles and am working straight stockinette for the foot. 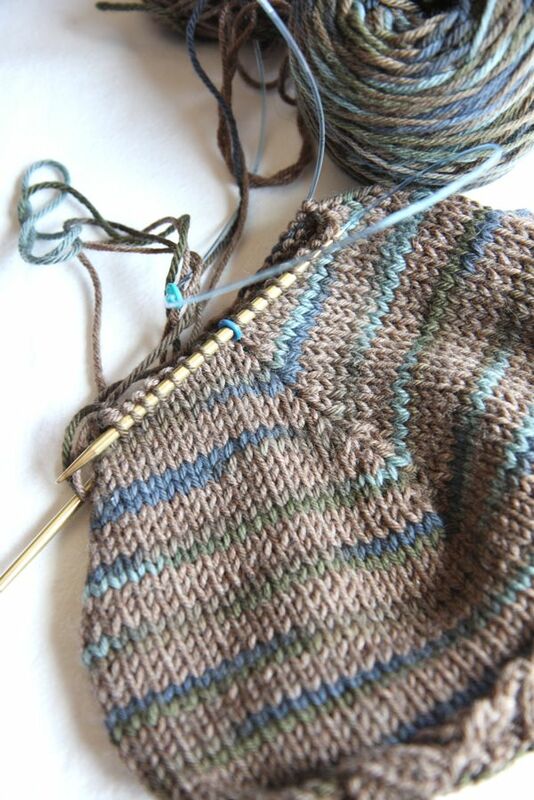 I’m going to put in an afterthought heel and then not sure how I want to knit the leg. 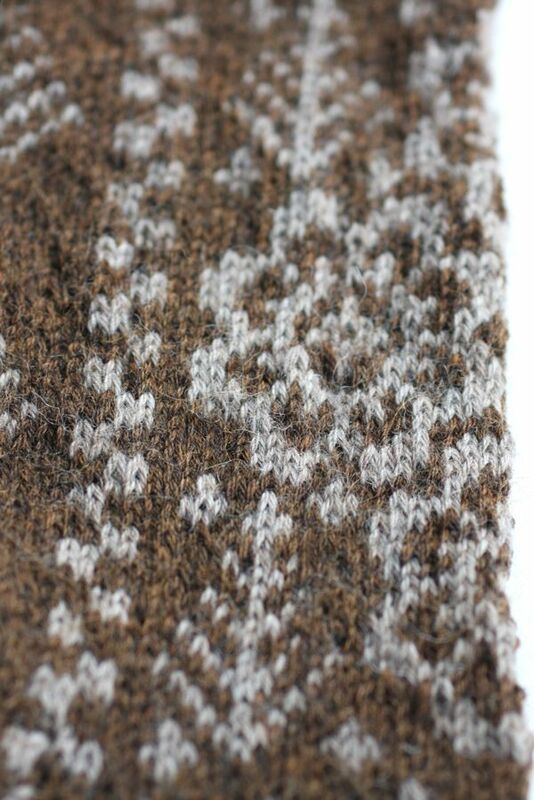 I’ve been working diligently on the Snowflake Socks for my SIL, but this project takes complete focus because it’s two stranded knitting and you have pay strict attention to the chart. 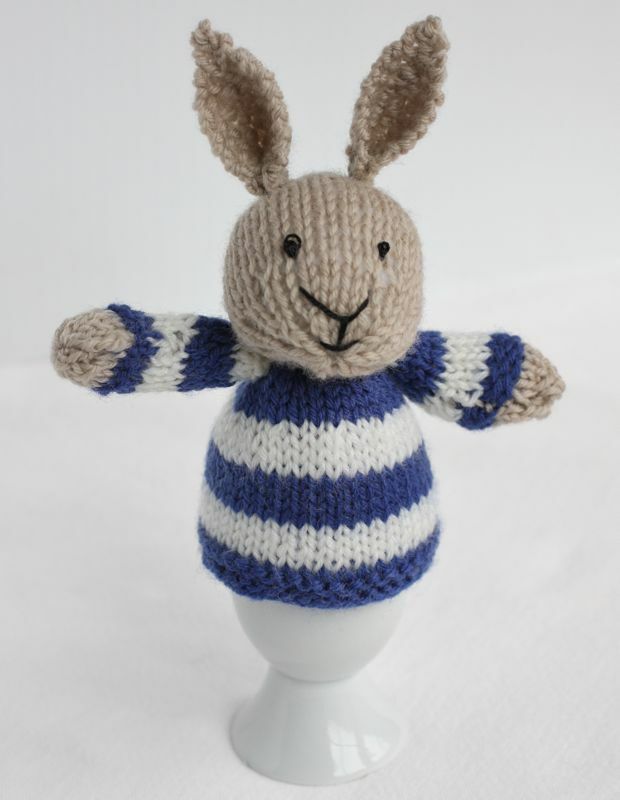 Spring has sprung but I am busy at work on my Big Project – knitting something for everyone in my family by next Christmas (that’s about 15 people). 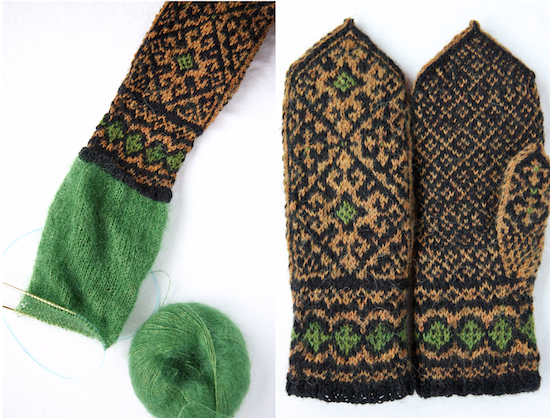 I love two stranded colorwork and when I saw these Andalus Mittens, I knew I would be knitting them. 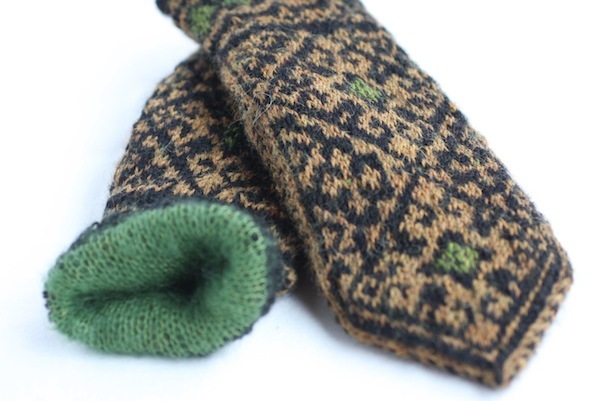 I am knitting these for my mother-in-law because she really likes mittens. 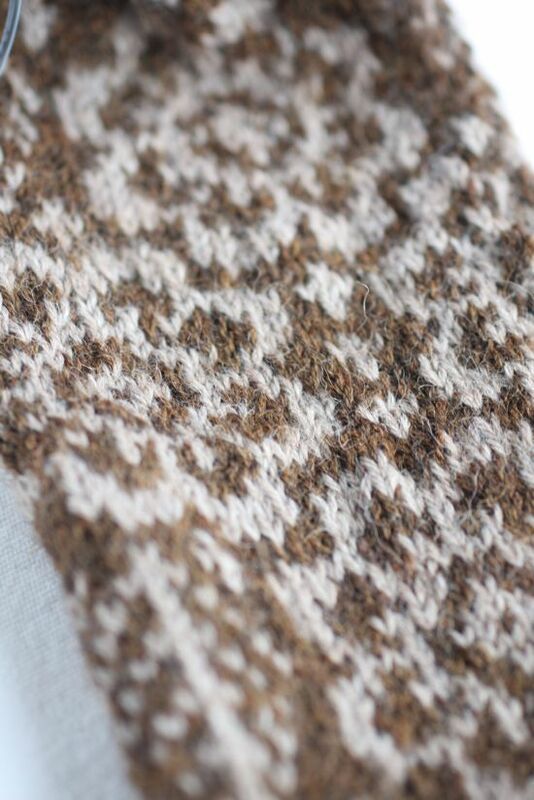 These are knitted up in Berroco Ultra Alpaca Fine, one of my favorite yarns. 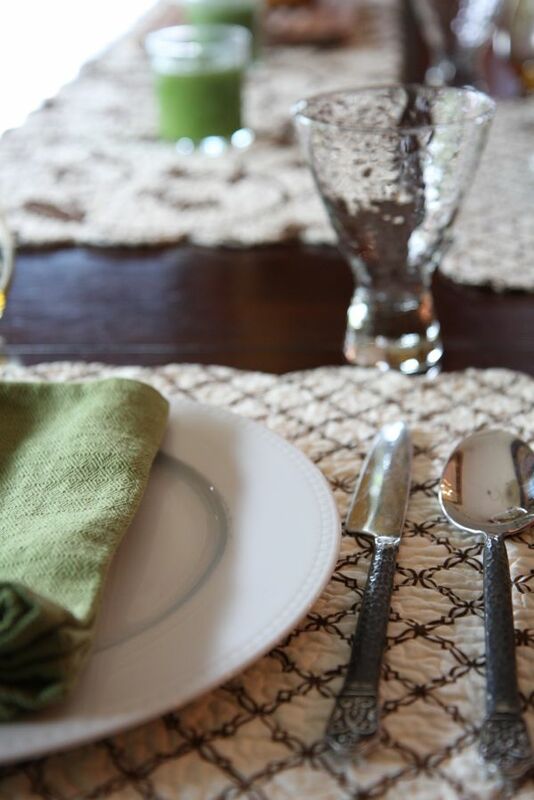 I selected the colors that I know my MIL likes to wear – copper and black. The copper color is called “Tiger’s Eye” and it has some interesting flecks in it. 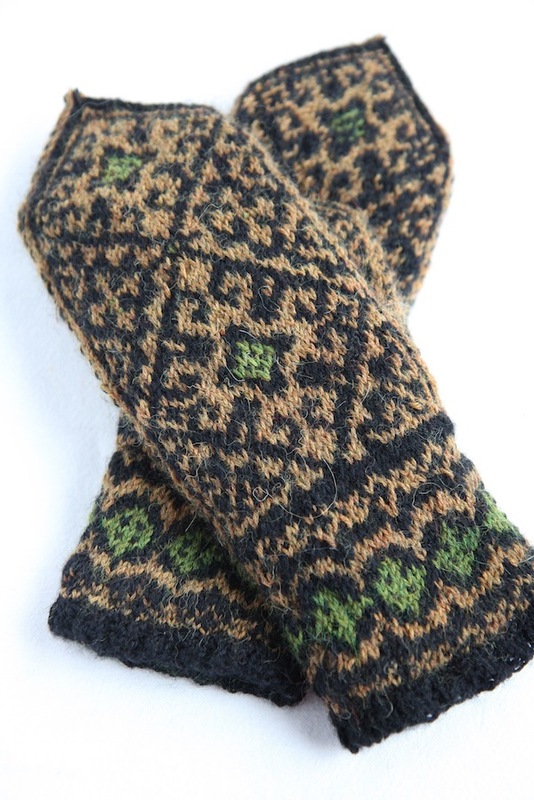 I wanted to add some green to the mittens, but instead of knitting in little stitches, I used Duplicate Stitch to add the green after the mittens were knitted. I blogged about that technique here. 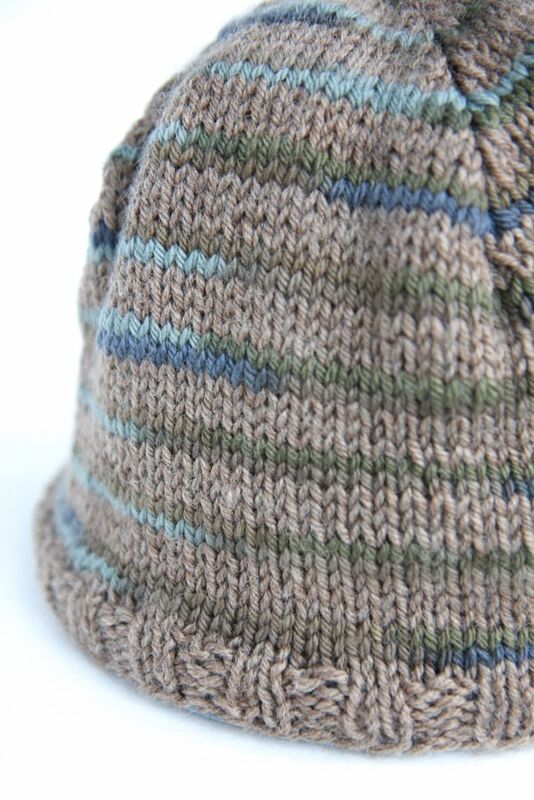 I’ve seen so many beautiful new fun knits on the web lately and I wanted to share a couple with you. 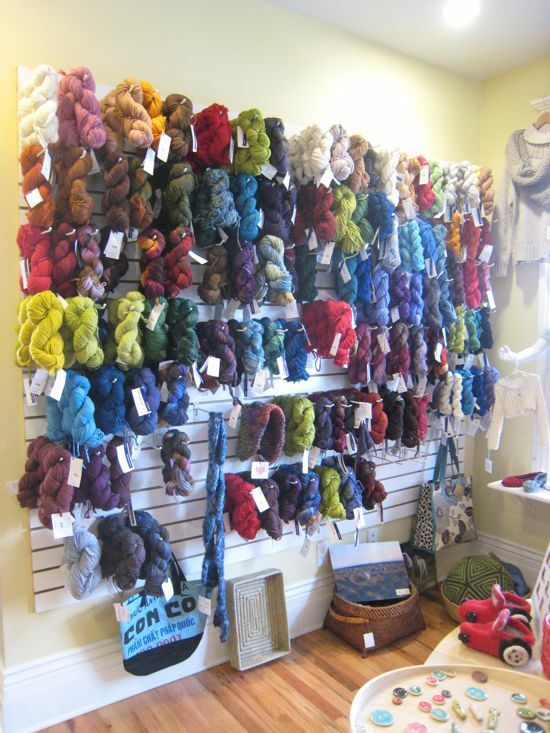 Have you seen Jared Flood’s new shawl, Rock Island? 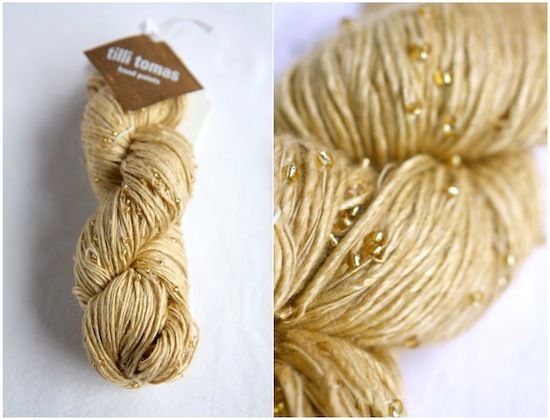 Knitters are all talking about it because it is so exquisite. 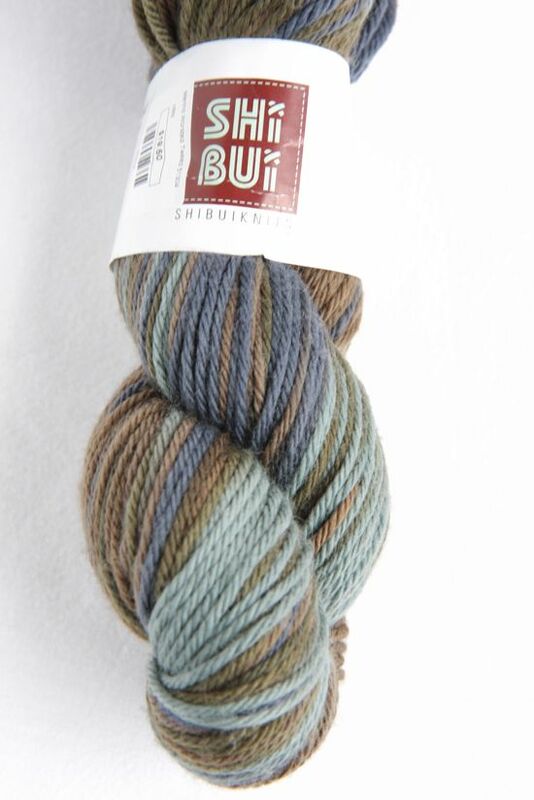 He teamed up with Lorna’s Laces and they made a new colorway, Grand Street Ink, according to his specifications for this shawl. 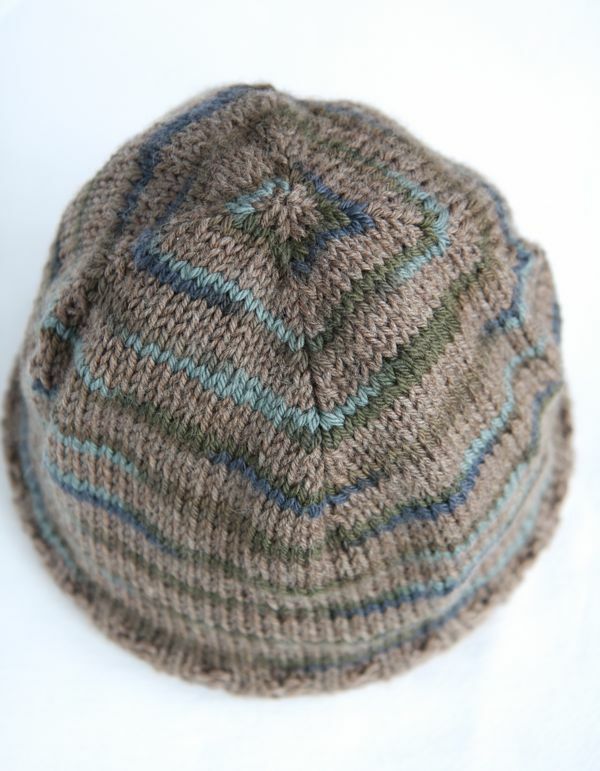 Check out the KAL over at Ravelry that’s been started for it. I wish I could do it, but I’ve got all these Christmas gifts I want to knock out. 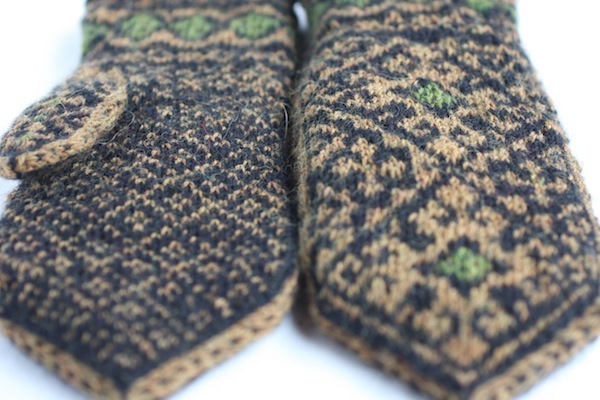 Look at these beautiful mittens for spring, designed by Kirsten of “Through the Loops”. 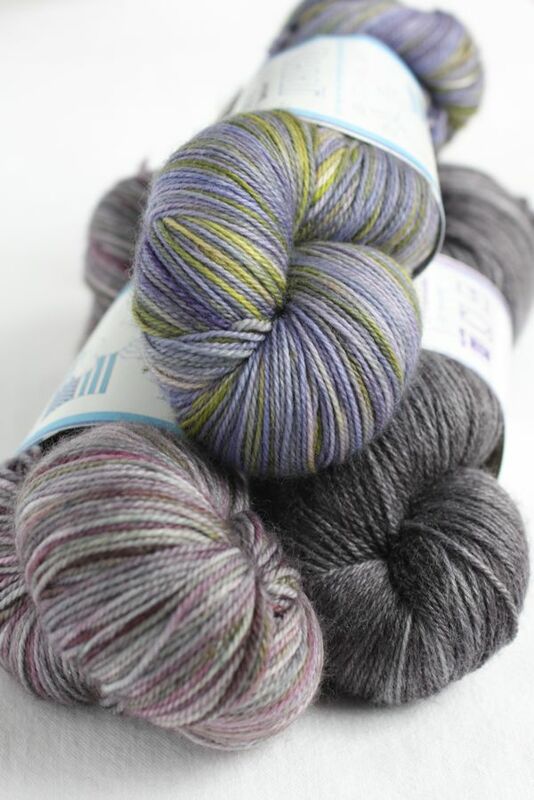 I fell in love with them the minute I saw them and immediately put them in my favorites on Ravelry. I hate having UFOs lying around. 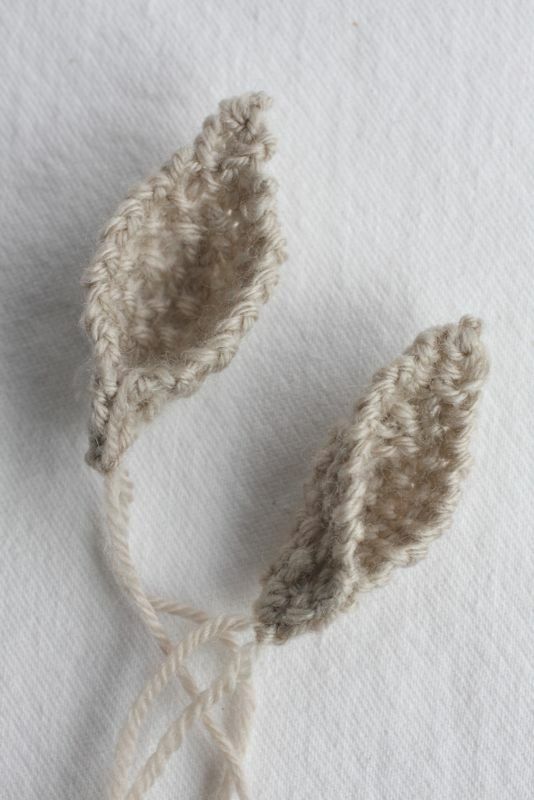 I really am pretty good at not starting too many new projects before other things are finished. 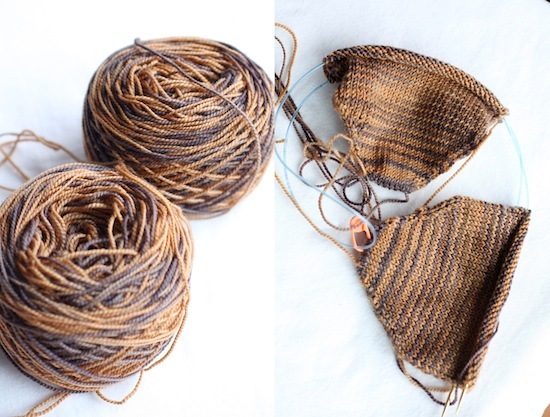 I like having one mindless knitting project and one more focused, chart intensive kind of thing going at the same time so I can pick which to work on. So I don’t like having a third thing lying around, which is what these socks were. 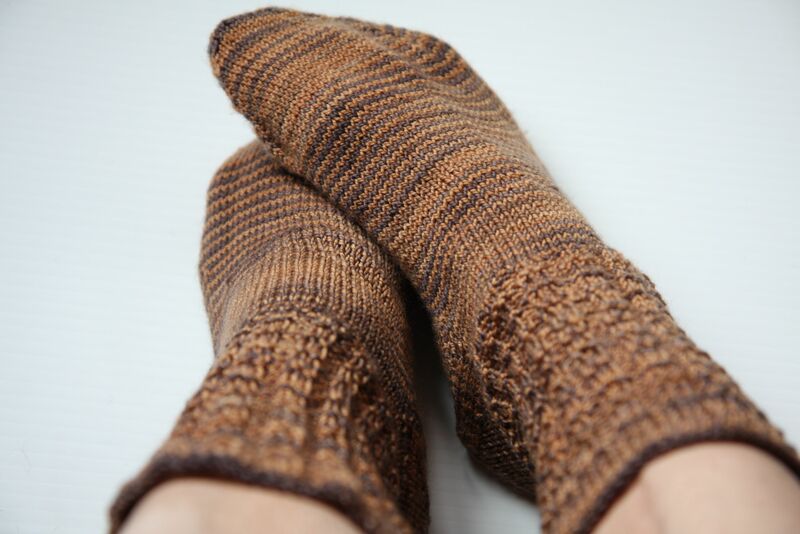 These socks were from a class I took a few months ago where we learned to do two socks on one circular needle, a technique I wanted to learn and immediately knew I disliked. 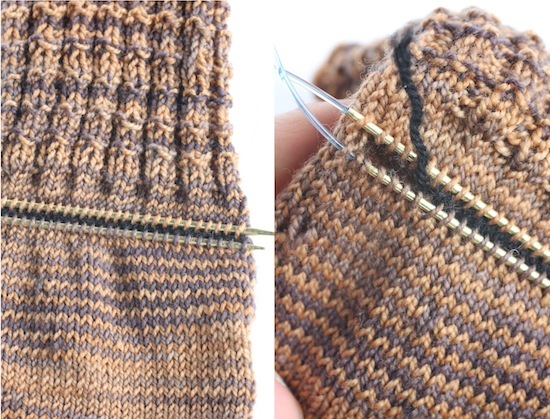 As much as I love Magic Loop, I don’t like doing two items at one time – too much fiddling with the cables. 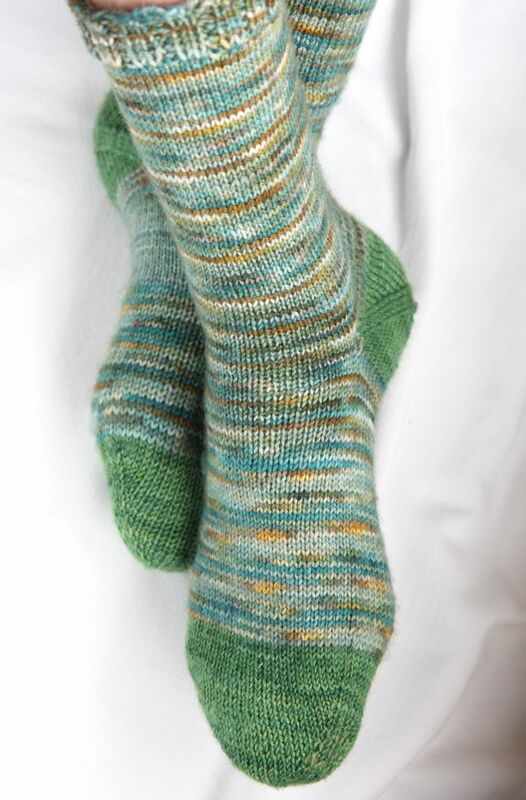 But the class did force me to learn to make socks, which I had never done, mostly because I just don’t wear socks. 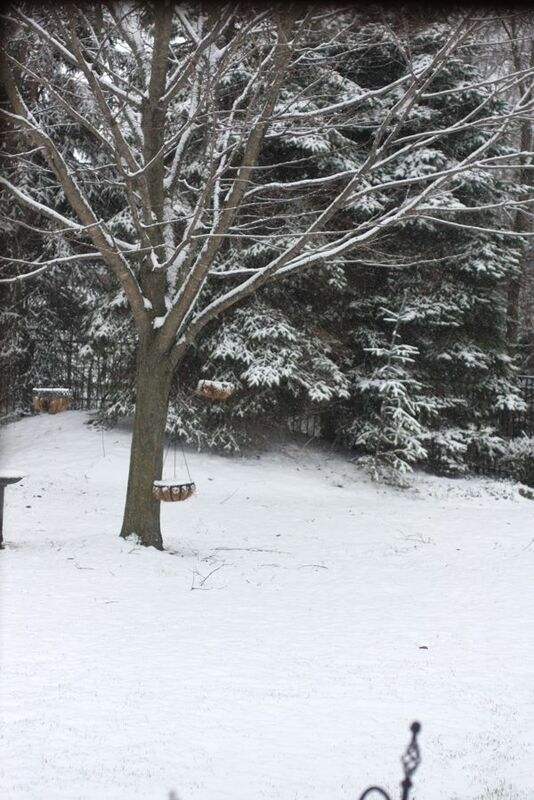 I go from sandals in the summer to my UGG boots in the winter, with no socks. But knitting my own socks may change my mind! 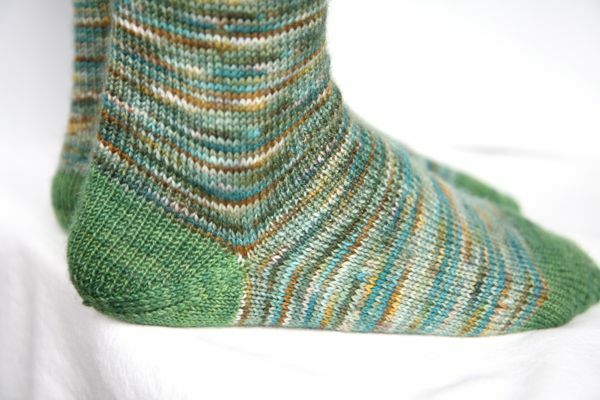 Plus I wanted to start making socks for gifts – I do know that other people enjoy socks. 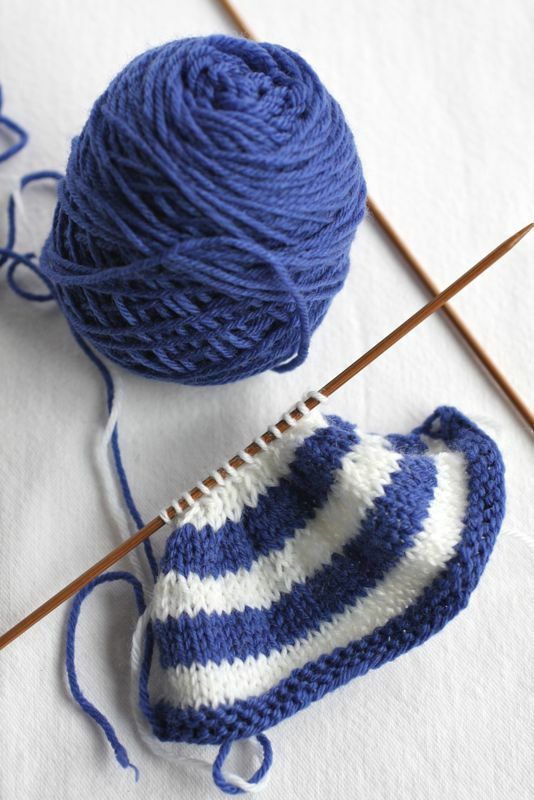 The instructor taught us how to make socks without using a pattern, which was a great lesson. 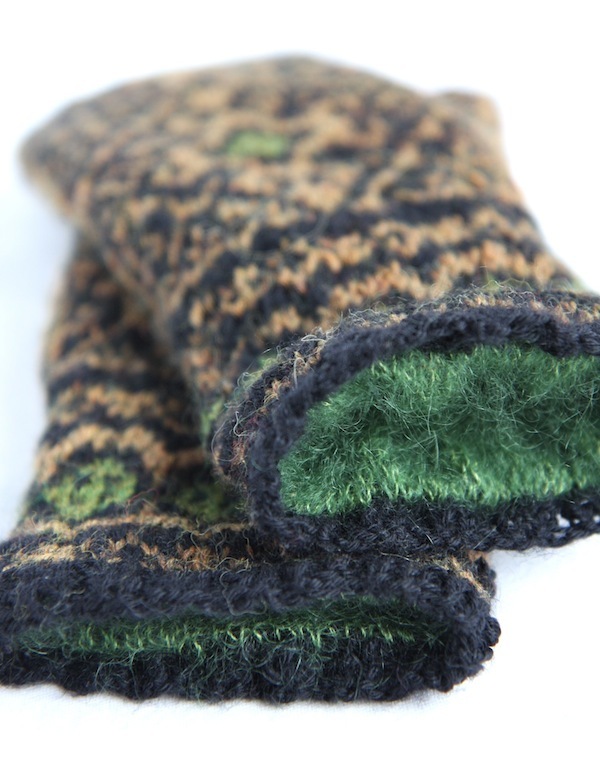 These are toe-up socks, with an afterthought heel. 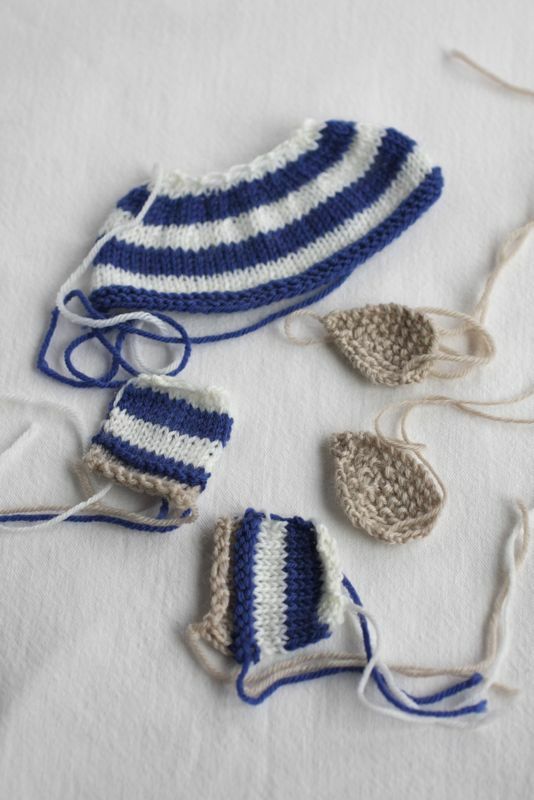 We got to pick which kind of heel we wanted to do (I did a wedge) and which kind of bind off we wanted to do (I did a double crochet bind off). 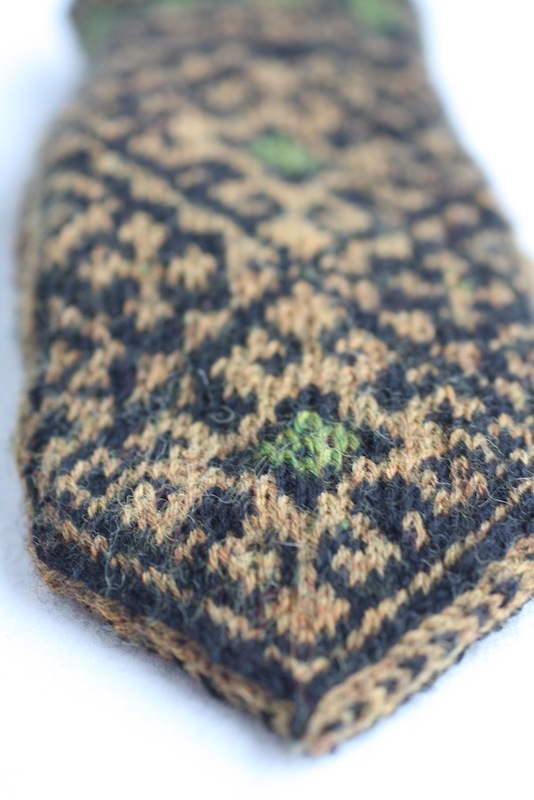 The afterthought heel was easy for me, because I’ve done so many afterthought thumbs with my mitten knitting. I like these socks a lot, although I made them a little too large for my feet. When you aren’t working from a pattern, you just have to go by feel. 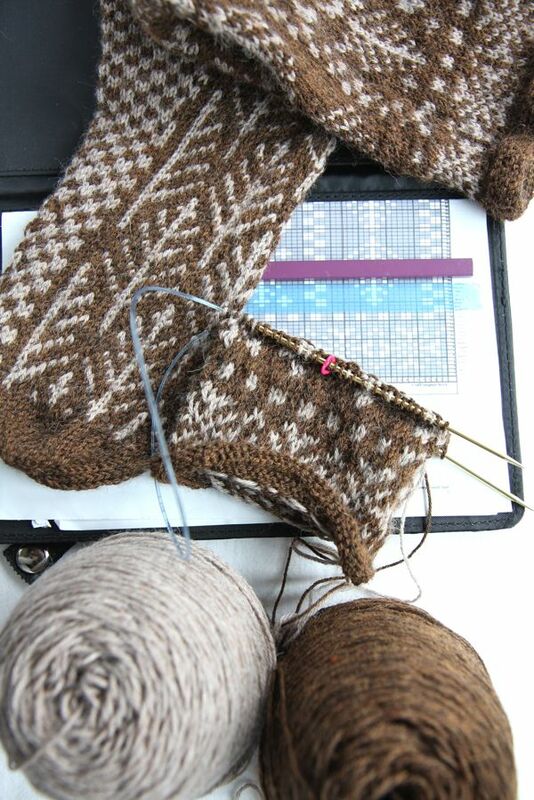 I forget to take into consideration that the socks would grow a little when I blocked them. 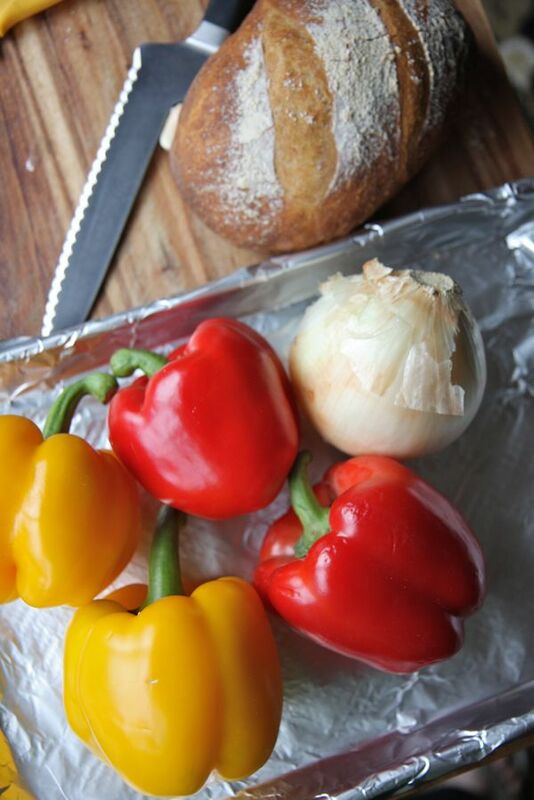 You are currently browsing the Italian Dish Knits blog archives for April, 2011.